Getting a diagnosis of bone cancer can be very frightening. You may ask your doctor if it can be cured. Before you get yourself too upset, it is important to make sure you understand bone cancer, the types, and how it is treated. Bone cancer occurs in the inner tissue of the bone. Malignant bone cancer is actually pretty rare. Most of the bone tumors that are found are actually benign. When bone tumors are found to be cancerous, the earlier treatment is started the better. 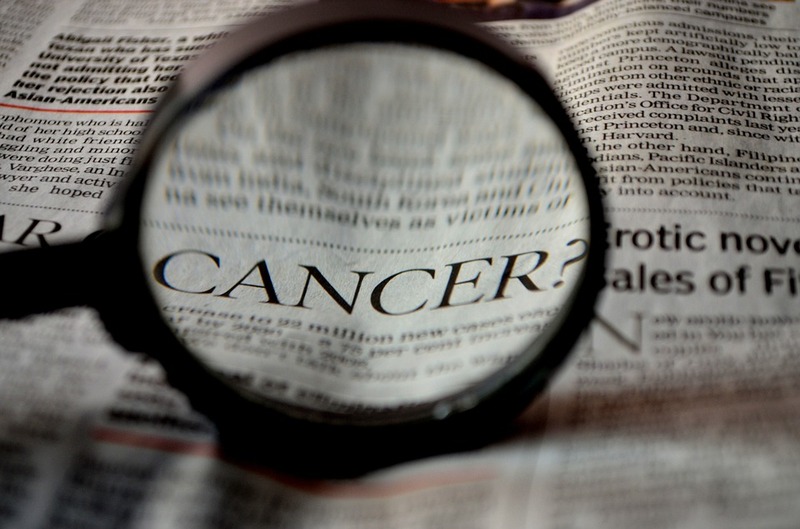 This article explains more about bone cancer treatments and cure rates. Many people are cured by the time they reach the 5-year survival rate point. The five-year survival rate for people who get early treatment for bone cancer is about 70% for any type of bone cancer. For chondrosarcoma, the 5-year survival rate is about 80%. For Ewing Sarcoma, the survival rate at 5-years is 60 to 78%. The 5-year survival rate for osteosarcoma is 30 to 40%. Can bone cancer be cured? If treatment is started early, it is possible. Surgery is usually the first-line of treatment for bone cancer. They will remove any cancerous tissue and healthy tissue around the area. When you have a tumor in an extremity (leg, arm) doctors will try their best to remove just the tumor. If the cancer is “high-grade” they may have to perform an amputation to prevent the cancer from spreading. The cure rate for bone cancer with surgical treatment is around 80 to 90% if the entire tumor can be removed. High-grade tumors that have spread beyond the bone are no longer curable with surgery alone. The side-effects of surgical treatment for bone cancer are infection, pain, bleeding, appetite, and fatigue. If your cancer cannot be completely removed from your bone, the doctor may decide to do chemotherapy. This will stop the spread of the cancer. They will give chemotherapy through an IV line straight into your blood. Osteosarcoma is usually found after it has already spread and often needs chemotherapy. You may also be given chemotherapy before surgery for bone cancer if the doctor thinks it has a high risk of spreading quickly. Using chemotherapy for fast growing or "high-grade" bone cancers raises the cure rate about 10% over those who do not have chemotherapy. Side-effects of chemotherapy include nausea, appetite loss, increased risk of infection, fatigue, hair loss, and diarrhea. Radiation is the use of very powerful x-ray beams to eradicate cancer cells from the body. They use a machine to send a beam of radiation at the area with the cancer. Radiation is normally used when bone cancer cannot be removed surgically or used pre-op to shrink a tumor. If a bone tumor can be shrunk, surgery may be more minor and help avoid amputation of a limb. The cure rate for bone cancer using radiation therapy before and after surgery averages about 75%. Side-effects of radiation for bone cancer include fatigue, skin rash, nausea, and diarrhea. If caught and treated early, most cases of bone cancer have a very high 5-year survival rate. Some cases that are advanced when found may not respond to treatment as well. There are still things that can be done to keep you comfortable and slow the progression. Can bone cancer be cured? Most of the time. Sometimes, the cancer may have been present for too long and spread to other organs. Even after aggressive treatment, a cure isn't always possible. If this happens, it is important to discuss options with your doctor to make sure you are comfortable. There are special health care providers that can help you and your family deal with an advanced or terminal cancer diagnosis. You will most likely need treatment for pain, specialized nutrition, and planning for end-of-life decisions and care. The most important thing is your comfort. When your prognosis shows that you will live 6 months or less, talk to your doctor about going on hospice. This is a specialized type of care where you can stay in your own home. Visiting nurses will report to a hospice doctor about how you are feeling. They can order pain medications to keep you comfortable. They can also help with activities of daily living, personal care, and emotional support. Hospice can also teach your family about what to expect and provide them with emotional support. Radiation used for Palliative treatment can either be given externally on the outside of your body or internally by placing the radiation inside the body close to the tumor. They can also give radioactive medication that you take internally via bloodstream. Side-effects of palliative radiation include feeling weak, fatigue, bladder pain, diarrhea, nausea, and skin rash. This type of radiation can also cause mild fevers and dry mouth. Narcotic medications can be used for pain relief. They can use pain patches and pills. If you become too weak to swallow, some narcotic pain medications come in drops that can be placed under the tongue. Terminal cancer can cause anxiety. This can be both a physical symptom of the body shutting down and an emotional symptom over the fear of dying. Anti-anxiety medications can help calm you when you're feeling fearful. Palliative care includes relaxation techniques to help you overcome emotional feelings and physical symptoms. Hospice nurses can teach you breathing techniques or meditation exercises to help keep you calm. Can bone cancer be cured? Not if your cancer is too advanced. However, emotional and spiritual care from hospice nurses can help you understand terminal cancer and the stages you will go through.